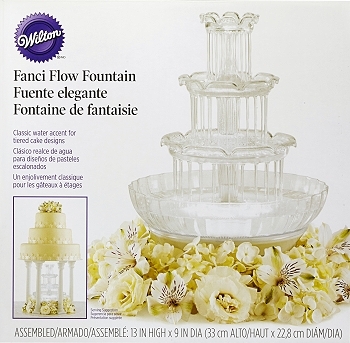 Fanci Flow Fountain, adds beauty and drama of flowing water and light to your special events and cake creations. 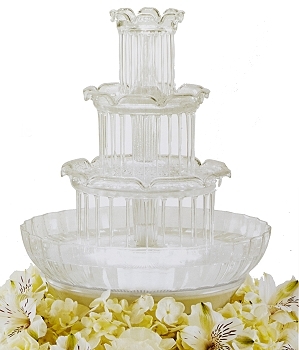 This classic crystal-looking wedding cake fountain is the perfect accent to any celebration. 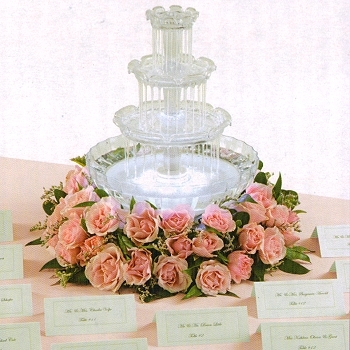 Water gently cascades down 3-tiers into a main pool. • Switch settings: Pump-On, Light Off. Pump-On, Light On. Off. • Bright LED lights illuminate the water from below. 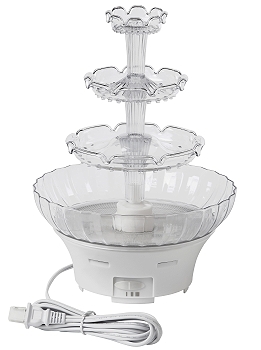 • Water flow is adjustable with the control ring. • Holds a maximum of 4 cups of water. Water only. 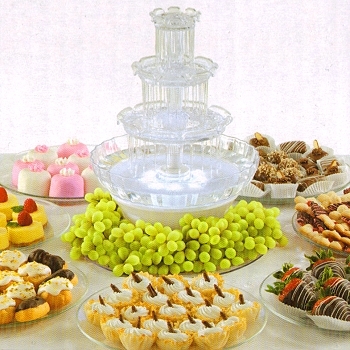 • Fully assembled: 13 in. high x 9 in. dia. 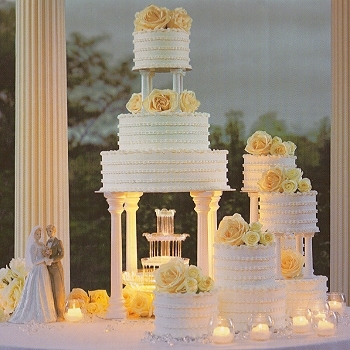 • Easy to assemble. Instructions included.